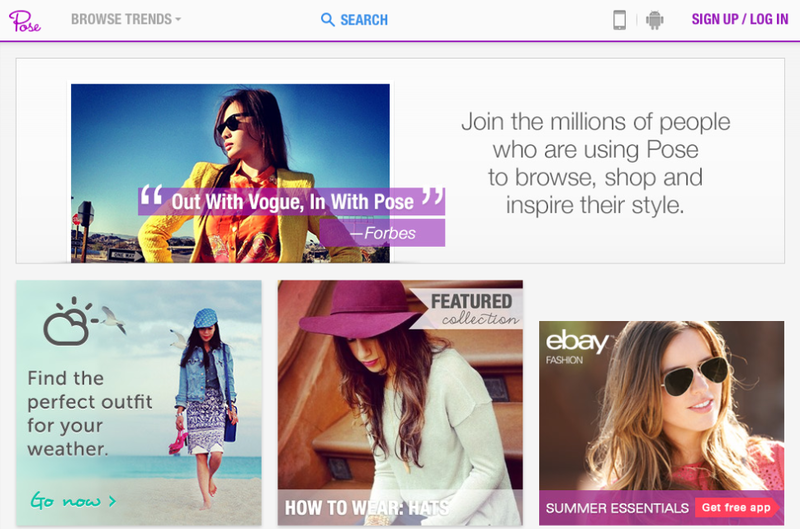 Pose…Instant Street Style At Your Finger Tips!!! It’s 7:15 am – I’m showered, my make up and hair are done but I’m just standing here, staring at my closet wondering what to wear today. Sound familiar? I know I can’t be the only one this happens to? Pose to the rescue!!! Pose (www.pose.com) is a free app that lets you snap pictures of your outfits, tag them with brands or designers and share them with others. Its kind of like Vogue and Instagram had a baby! Pose has become my fashion inspiration on days when I have none. What’s really cool about Pose is that it takes sharing to the next level. Not only can you receive instant feedback but you can also check out other people’s poses, shop within the app and create collections of your favourite looks. It’s quick and incredibly easy to use. Snap a picture of yourself, tag it with the brand or designer and then upload it to the site. And like Twitter, you can use hashtags to help categorize your photos and looks. People can comment on your pictures and like them by “hearting” them, similar to the “like” tab on Facebook. Oh and did I mention the community is full of fashion lovers, stylists and bloggers…even top bloggers like Man Repeller, Because I’m Addicted and Coco Rocha are getting in on the fun. Ha! This is great. I think I'd want everybody's outfits! What a great idea! I absolutely love that DL dress on you - it's beautiful! I love your outfits, you look like a model in all of them :) Also, Ill have to check that app. Sounds like a fun site! I honestly have never heard of it! I will have to check it out! That striped dress looks amazing on you! Will check this out. thanks for sharing Jackie. It's okay, I will be doing another Q&A soon :) // I've heard about Pose for years now and don't know why I haven't signed up yet.. let me go ahead and do that now lol. Interesting! Will check it out! !